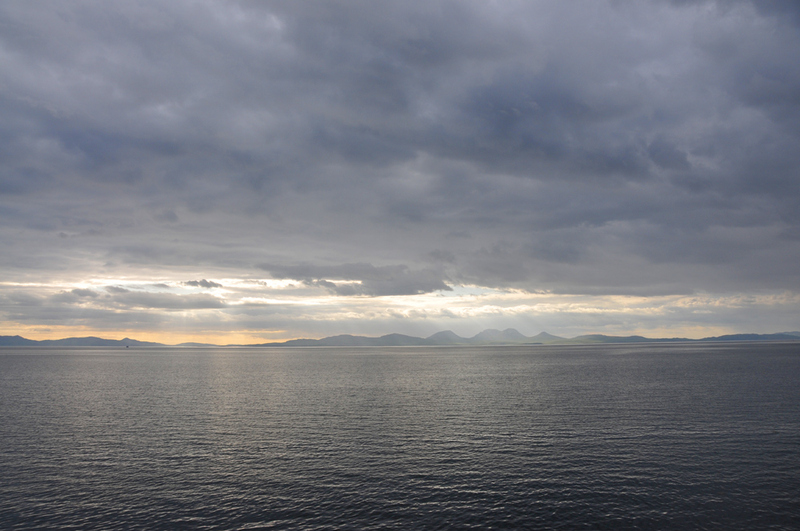 A mostly cloudy view from a ferry crossing to Islay, although the clouds are lighter over Islay (left) and Jura (right) in the distance. This entry was posted in Cloudy Weather, Landscape, Repost and tagged ferry, Islay, Jura, Paps of Jura by Armin Grewe. Bookmark the permalink.